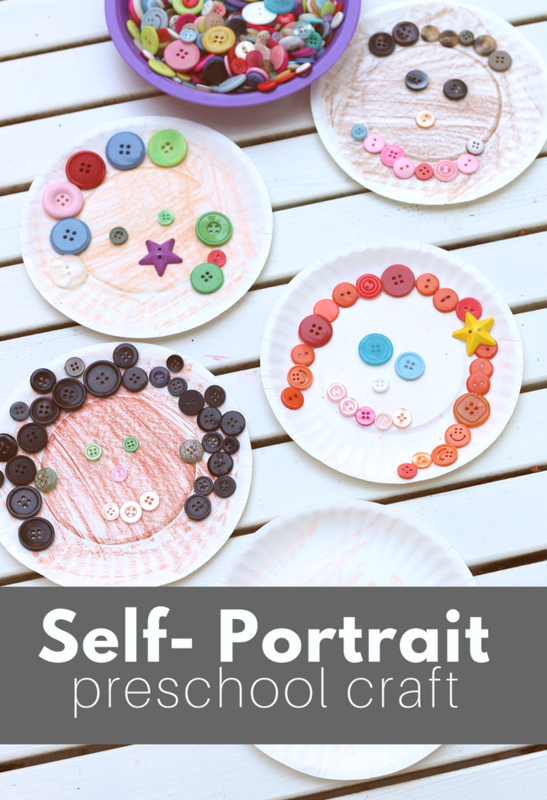 One of the most classic preschool themes used (usually) at the start of the year is All About Me and this year I will be releasing an All About Me Thematic Unit ( soon… very soon) for the fall but I wanted to share this self portrait preschool craft now because I just couldn’t wait! Patience is something I have in heaps for children but not for this. 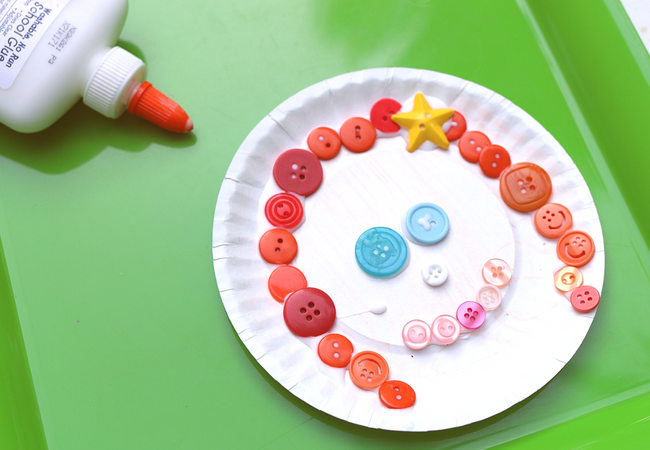 I just love this preschool craft and have to share. The beauty of exploring all about me early in the school year is that as children explore the theme, you get to know more about them and their families as well. Yay for deeper connections! After doing this theme following it up with a unit about families just makes sense. Check out our mini-unit all about families here. If you are going to be doing self portraits with children you must have paint or crayons in various skin colors to allow them the time to consider, reflect and decide the shade they wish to use for their skin color. 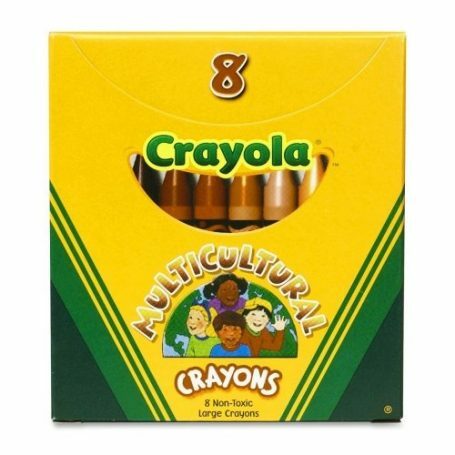 My favorite crayons for this are made by crayola and can be bought here. Gather your materials. 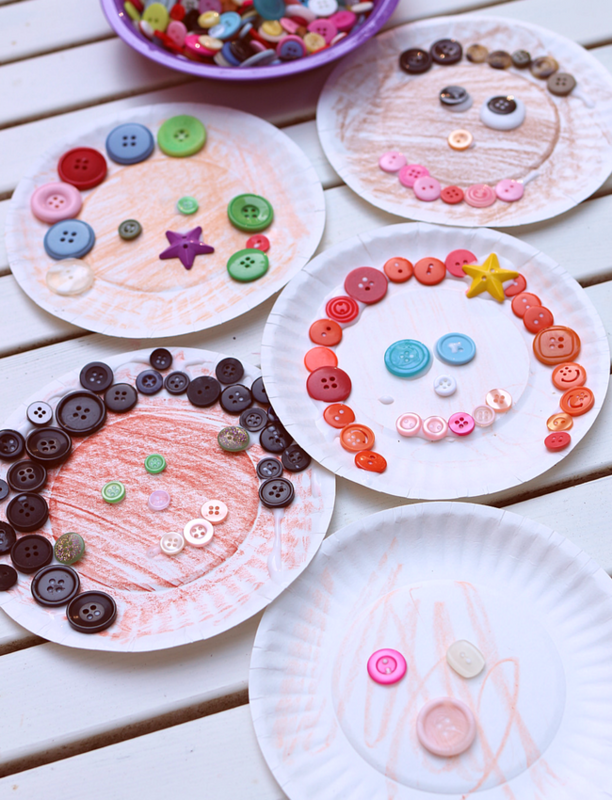 You will need some small paper plates ( get bigger with age, for young preschoolers keep them small so creating the collage doesn’t take forever and they get bored), crayons, glue, a hand-held mirror, and buttons. 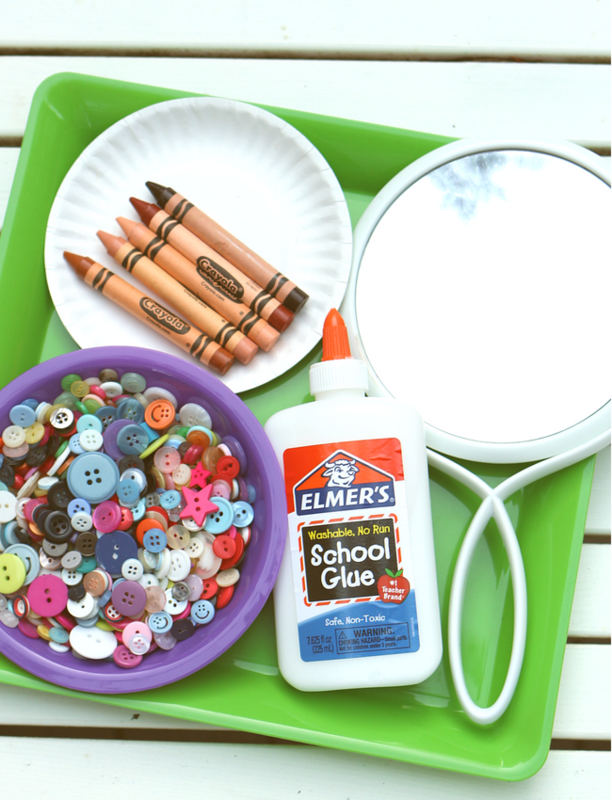 Something I didn’t have on hand but should have for children with glasses was some pipe cleaners to make them! I like to start by having each child pick out the buttons they want before it’s time to actually create. I sit with them during free choice and using the mirror we look at their eyes, nose, hair and talk about which buttons would be best to use. I do not correct the child at all. If they want to make a literal interpretation of their features cool, if they want to have two different color eyes, no hair and four noses… rad! Also, if you have a very young group, they may want to look at themselves but not have the attention span for picking out and planning the buttons… that’s fine! Just make sure they have access to many colors later. 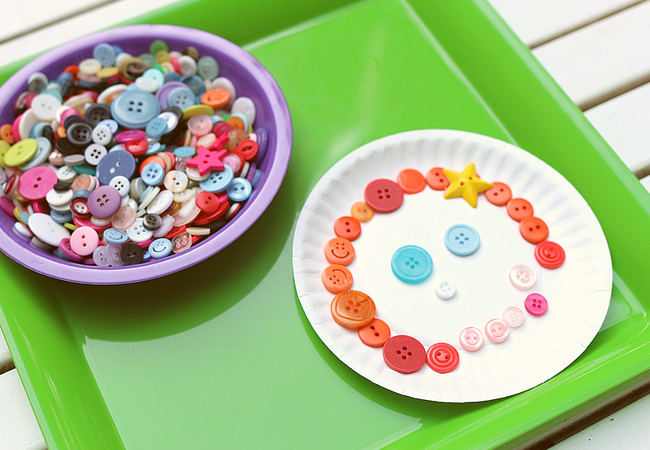 After they have chosen these buttons and made a face I set them aside. 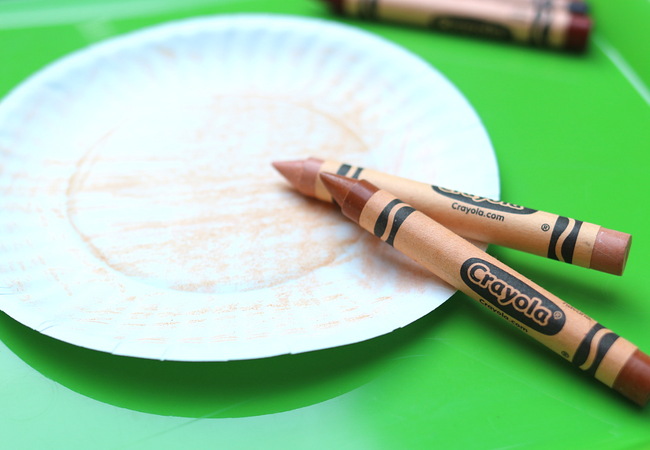 Next, we color the paper plate the color they choose from their skin color. Again this is about self-expression not a picture-perfect representation of a 4-year-old. If that was the case would we be using buttons? Remember kids can mix two colors together too! Time to add the glue! 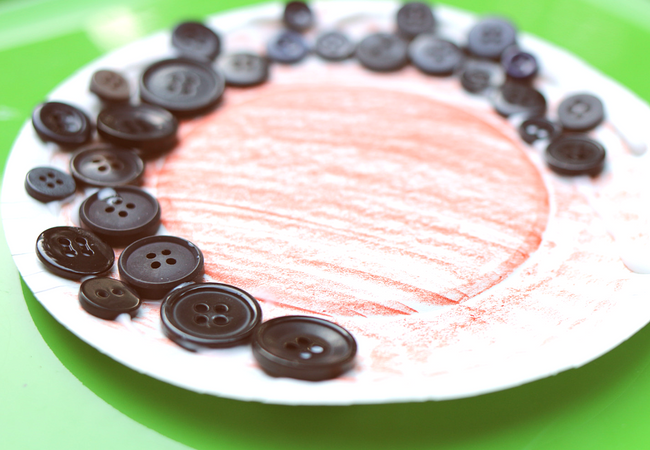 Buttons are fun with glue because it squishes through! 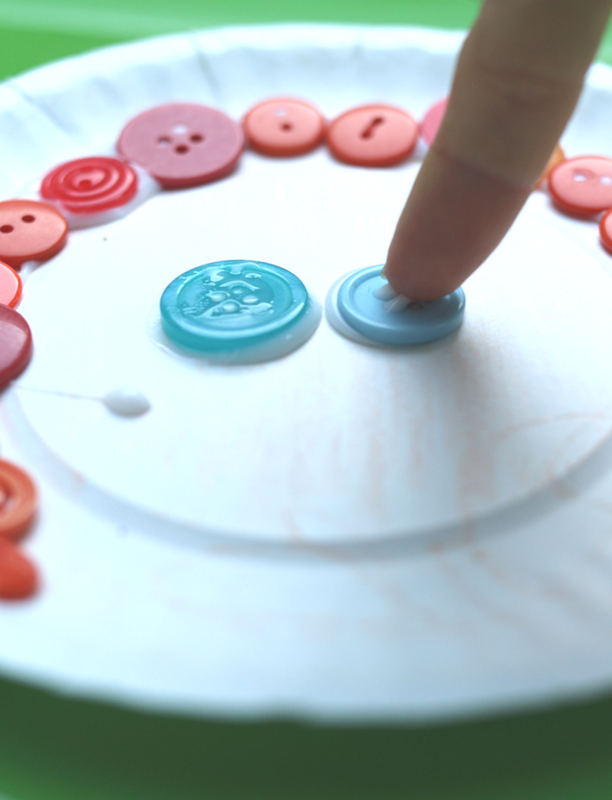 I love using buttons with preschoolers ( once they are over the “put everything in my mouth” stage) because they are fab for developing fine motor skills. 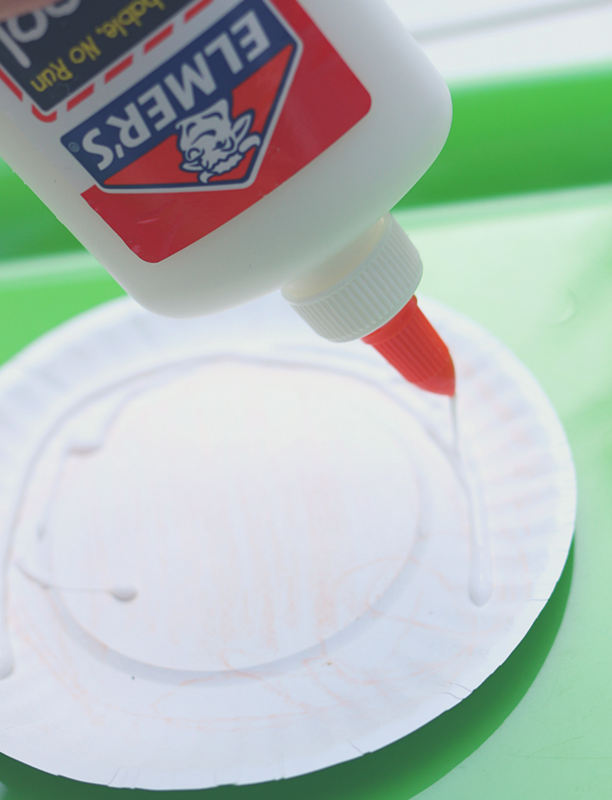 Don’t worry if your students use a ton of glue; it will dry, eventually. If you are doing this activity as a group make sure you have a quiet activity, centers, or an assistant teacher to keep the fast finishers engaged because some children will be totally into this, others may not. I love this hair! 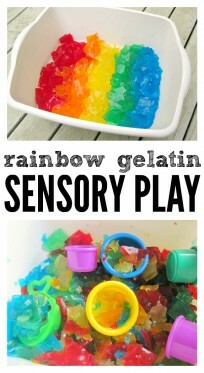 Have fun with this activity and remember it’s about self-expression… and fine motor skills, but mostly self-expression. 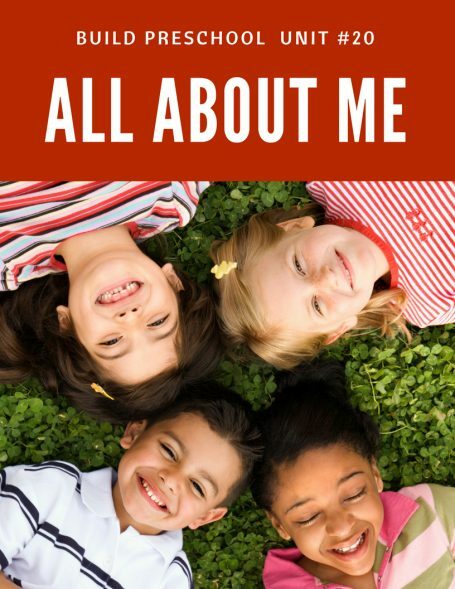 Get more All About Me activities with our printable lesson plans for preschool in the All About Me thematic unit. Learn more about it here! Need some books about being yourself? 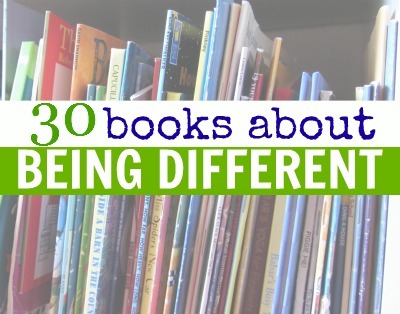 Here are 30 great picture books that help teach children that being different is a strength, not a weakness. See the full list and reviews here. 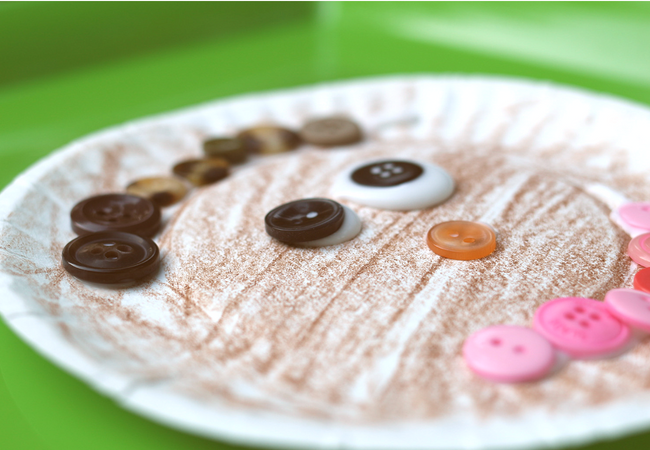 Do you know of a good source to purchase a large quantity of buttons?